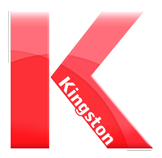 Kingston overwhelms Dickson 46-7 in first game of the year. It didn't take the Kingston Redskins long to take control and set the tone of the game as Skye Lowe took the opening kickoff and used his quickness up the left sideline to return the kickoff 75 yards to the house and opened up a quick 6-0 lead over the Dickson Comets. "I was pleased with our effort," said Kingston Coach John Caraway. "That was a hard hitting game and I was pleased with the physicality of our play." Terrynce Giveswater led the ground attack with six carries for 106 yards and two touchdowns.Quarterback Tyler Stovall ran the ball 14 times for 82 yards and picked up 71 yards passing on his first start at quarterback. He scored three touchdowns to lead the team in scoring. The Redskins amassed 296 yards in total offense. "The offense sputtered until about the middle of the second quarter with penalties," Caraway went on. "But they did a good job after that. They got away from the penalties and we moved the ball well." Giveswater and Paden Hayes led the team in tackles with 10 each. Dustin Gibson (Gibby) tallied nine tackles from his nose guard spot and blocked one punt. The Kingston defense held Dickson to 139 yards. "The defense was outstanding", Caraway said "It seemed like there were always 11 Kingston players around the ball. Coach Hightower had some great game planning.That was probably our hardest hitting game since I have been here." "This was just one game; the football season is a marathon. This week we play Valiant (away) and we need to be prepared for another physical game. They have a good quarterback and a big offensive line.